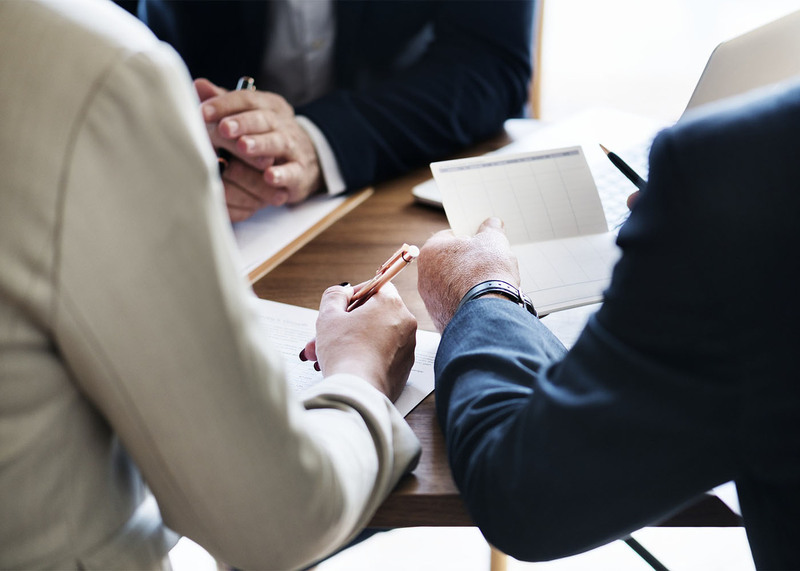 Myths about working with a financial advisor abound, maybe you've even heard a few; "I don't need one," "they're for the wealthy," "there are lots of hidden fees." The truth is that financial education around saving and investing money is for everyone. And even though everyone has different perceptions and expectations about a financial advisor’s purpose, the goal remains the same: getting your money to work for you. The sooner you start, the better. Developing good financial habits now, helps to prevent major catastrophes later. Wealthy is a high bank balance. At the end of 2013, American 401(k) balances averaged over $100,000. The median contributions during the same time were slightly more than $30,000. I can’t afford a financial advisor. Reality is you can’t afford to be without one. An advisor helps manage your finances, including student loans, credit cards, retirement savings or real estate investments. An advisor guarantees returns. They don’t. They put you in a better position for making good financial decisions for short-term and long-term planning. They provide short-cuts to making money. Not true, although market predictions exist, no one knows for sure. Advisors can get you closer to your goal, but you need to understand the risks and measurements of time required. Hidden fees. Ask for complete details on all-in fees for each consultation or transaction. This is your money, your future — don’t be shy about it. Choose wisely and ask questions about the forms of payment. You could do it yourself cheaper. Everyone at some point needs professional help. There’s more to financial planning than making a deposit. It’s about knowing how to manage the funds for growth. Advisors are self-motivated. Not always true, a successful advisor succeeds when you reach your goal. Their goal is to educate you on the market choices and how to avoid a financial crisis. Only interested in bank balances. This is far from the truth, since most Americans hold assets that continue to outperform the stock market. Your home’s equity, retirement or savings combined may exceed the average bank balance. Expensive for basic principles and advice. Individual planning is unique to your lifestyle and your situation could have complications. Good advice is not free. Wealth happens overnight. Working with a long-term financial advisor assures a financially planned future. You can always start later. It’s never too late to manage finances, but it helps to start early. You’ll go broke when the market swings. Not necessarily. Focus on the things you can control and keep an eye on the long-term strategy. Chasing the next big investment. Developing a diversified financial portfolio is about building a comfortable long-term financial plan. It involves a realistic investment goal. Limited budgets need not apply. Talk with an advisor and be honest about the budget. There may be a plan to get you started. You got the advisor – now you can kick back. Wrong. The key to building a secure future includes budgeting and learning. It involves using money tools like insurance policies, and estate planning. 401 contributions are enough. Without financial planning social security and 401(k) balances may not keep up with the cost of living. No such thing as future security. It’s a scary, but this is about managing circumstances and preparing for life’s transition. You don’t need to know what’s happening. If your advisor doesn’t keep you in the loop it’s time to change. You need to understand the whole picture, complete with details of what works or why it doesn’t. I have no disposable cash. You can learn to spend less and smarter to accomplish your future goal. Regular meetings are review points for adjusting the plan. They organize my future not me. You must take part in managing your current finances and planning your future. Long-term planning and good financial decisions with the help of a professional advisor is a managed future. Understanding the basics of the financial advice will help to avoid overwhelming mistakes brought on by these myths. We would look forward to talking with you about how we can simplify and organize your financial life.